quotes > Movie quotes > But, I’m funny, how? Funny like a clown? I amuse you? But, I'm funny, how? Funny like a clown? 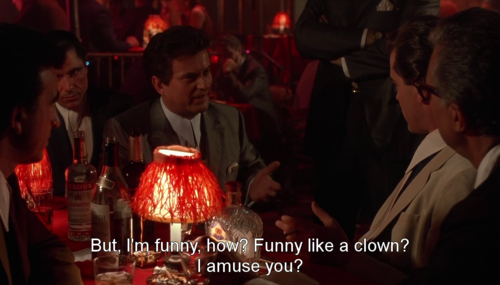 I amuse you?